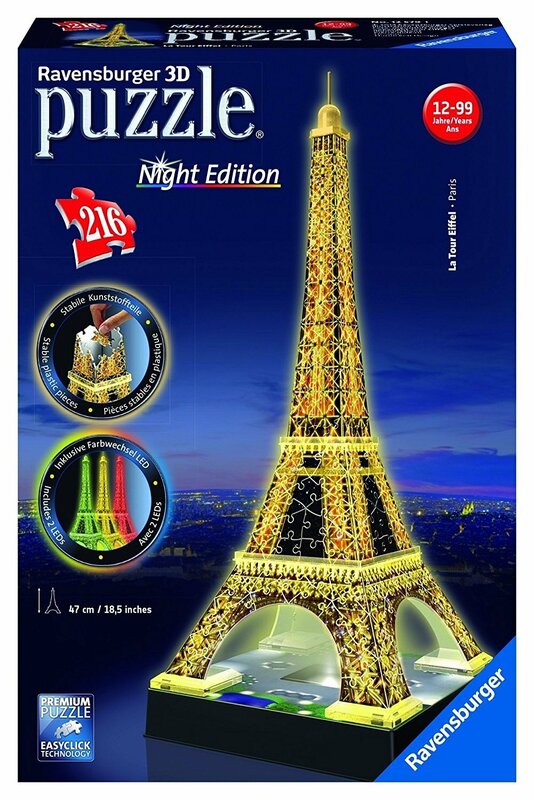 Now See Pariss Famous Eiffel Tower it at Night! 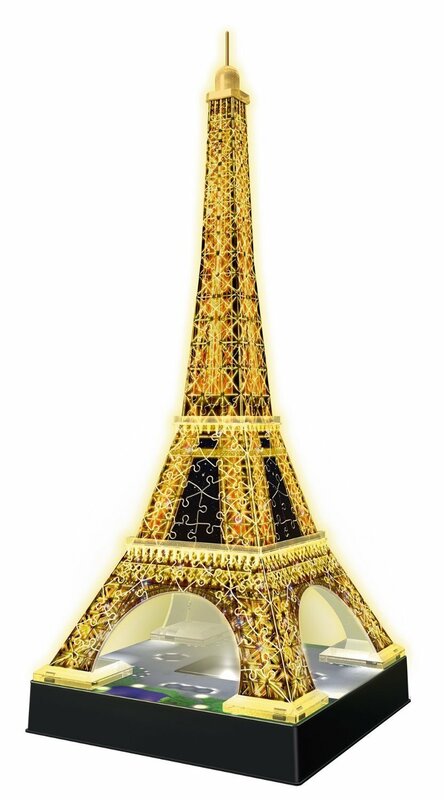 This citys famous landmark was built between 1887 and 1889 for the Worlds Fair in Paris on the 100th anniversary of the French Revolution and attracts more than 6 million visitors each year. 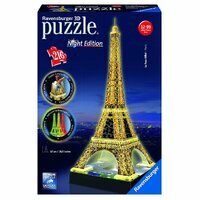 Bring the unique atmosphere of Paris right into your own home with this realistic 3D Eiffel Tower Puzzle! 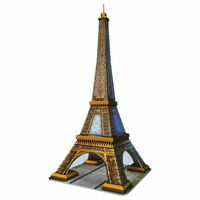 With 216 pieces, it is fascinating to construct and stands an impressive 44 cm high! 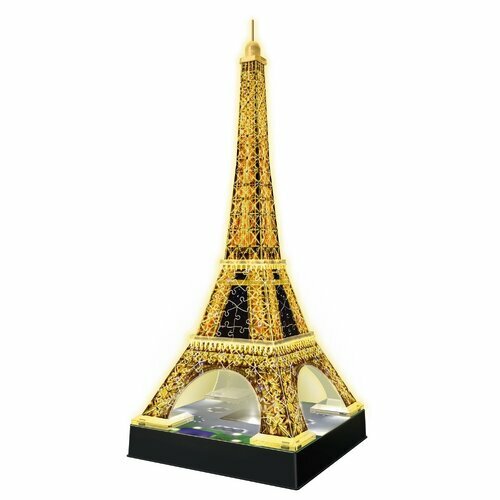 Comes with a baseboard for display and lighting features for special effects.